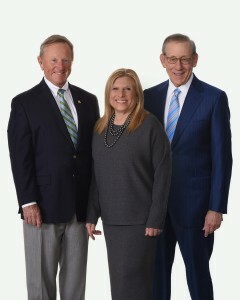 FORT LAUDERDALE/DAVIE, FLA. – Nova Southeastern University’s (NSU) H. Wayne Huizenga College of Business & Entrepreneurship is proud to announce the names of three South Florida business leaders who will be inducted into its Business and Entrepreneurship Hall of Fame, the Huizenga Business School’s highest honor. The 2018 honorees are Lisa Lutoff-Perlo, Bob Moss, and Stephen Ross. The H. Wayne Huizenga College of Business & Entrepreneurship’s Entrepreneurship Hall of Fame program is celebrating its 29th year in 2018. The awards ceremony will be held on Friday, April 20 at 6 pm in NSU’s Rick Case Arena at the Don Taft University Center in Davie, FL. The event is by invitation only. As President and CEO of a multi-billion dollar vacation brand, Lisa Lutoff-Perlo is a high-impact leader in the travel/hospitality industry. Her commitment to opening up the world through travel has brought recognition, awards and invitations for Celebrity Cruises to be applauded for its global impact. Lisa was appointed President and CEO of Celebrity Cruises in December of 2014, making her the first and only woman to lead one of Royal Caribbean Cruises Ltd.’s (RCL) brands – as well as the first and only female CEO of a publicly traded cruise line on the New York Stock Exchange. A champion for diversity, education and for young women to “raise their hand” as the next leaders of our world, Lutoff-Perlo leads by example by standing-up for what she believes in while encouraging others to do the same. As a leader, innovator and smart disruptor, Lutoff-Perlo raises the bar on all diversity and inclusiveness, removing barriers so that all may thrive. One of her first bold decisions as President and CEO was to hire the first American female captain of a cruise ship, and challenging leadership to raise the men/women ratio on the ship’s bridge, crew and global staff. Lutoff-Perlo leads RCL’s Global Marine Organization, ensuring that the corporation’s $20-billion fleet comprised of 46 ships run safely, smoothly and efficiently. Her transformative leadership has redefined ‘modern luxury’ for Celebrity Cruises. Lutoff-Perlo seeks to open the world for guests with a deeper understanding of what makes a great guest experience: a wide variety of ways to experience compelling destinations, welcoming and unpretentious service, distinctive onboard experiences, and a unique approach to design, culinary and accommodations. 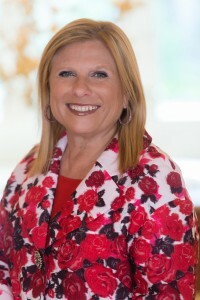 Lutoff-Perlo has held a variety of roles during her ladder-climbing, 32-year tenure with Royal Caribbean Cruises Ltd. She spent many years within the sales and marketing organizations in varying roles and levels of responsibility, creating a deep understanding of the value of customers. Lutoff-Perlo actively participates in and lends her leadership to a number of regional, philanthropic and women’s organizations. She has received numerous awards for her contributions to gender equality, diversity and inclusion, the travel industry and the South Florida business community. In 2004, Bob Moss founded Moss & Associates with two projects and two employees. Today, Moss is a privately held construction firm providing innovative solutions resulting in award-winning projects across the United States with more than 500 professional employees. Moss credits this achievement to his, and the entire team’s commitment to a set of non-negotiable standards which put an emphasis on an entrepreneurial spirit, transparent communications, teamwork and building valuable relationships. Bob built his successful career during the past 49 years with experience in a diverse portfolio of construction projects spanning North America. This portfolio includes transportation projects such as rail stations, cruise terminals, civil works and airports. Bob also has project experience with healthcare facilities, military and space research projects, retail, universities and higher education, correctional facilities, sports facilities, solar construction, island construction, residential multi-family units, senior housing facilities and convention centers. Some of his hallmark projects include Marlins Park and Nova Southeastern University’s Guy Harvey Oceanographic Center. Bob was also central to the teams that constructed 10 Walt Disney World resorts which included approximately 22,000 rooms; 16 Bass Pro Shops/Outdoor World projects; the Mayo Clinic in Rochester, Minnesota; Atlantis Paradise Island and Our Lucaya in the Bahamas. Bob’s experience continues with iconic projects currently under construction such as Brightline Ft. Lauderdale and West Palm Beach stations, Margaritaville Vacation Club by Wyndham in St. Thomas, USVI, Auburge residences in Fort Lauderdale, Florida International University’s Wellness and Recreation Center, ICON Las Olas and the BB&T Center. Moss serves on the Governor’s Florida Council of 100, World President Organization, the Chief Executive Organization, and he is the Vice Chairman on the Board of Directors of Watsco, a $4.5 Billion NYSE Company. 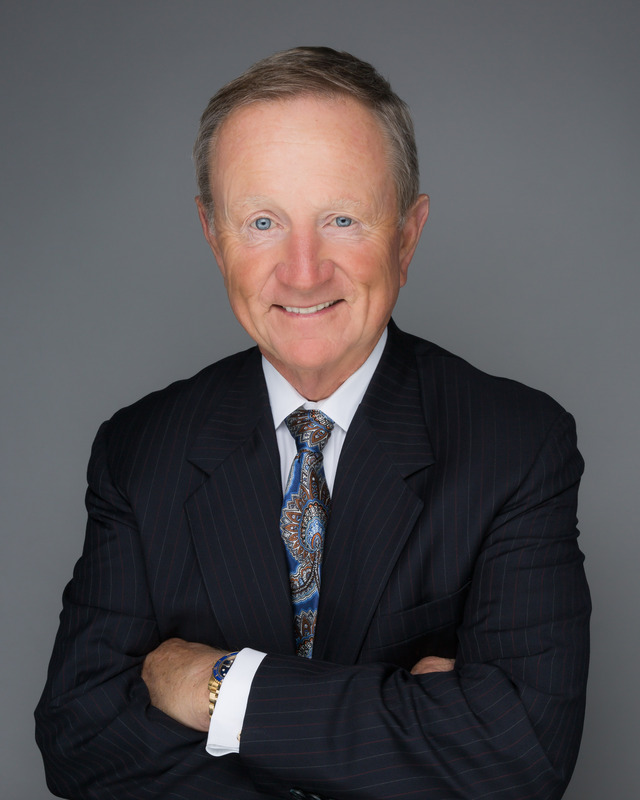 He has been honored by his peers and the community: University of Florida Construction Hall of Fame, Clemson Construction Hall of Fame, Broward Workshop’s Top 102 CEOs. In 2011, he was the recipient of the South Florida Council, Boy Scouts of America’s Distinguished Citizen Award he was recognized as the Humanitarian of the Year by the EASE Foundation in 2012. Stephen M. Ross is the Chairman and Founder of Related Companies, a global real estate and lifestyle company defined by innovation in all aspects of property development, design, service and wellness. The company has over $50 billion in assets owned or under development including the neighborhood-defining Hudson Yards, and owns Equinox® Fitness Clubs, Equinox Hotels and SoulCycle, further expanding the company’s capabilities into the hospitality, health and fitness arena. The company was recently named one of the 50 Most Innovative Companies in the World by Fast Company Magazine. With offices on three continents, Related was founded and is headquartered in New York where the company has dramatically redefined the concept of metropolitan living by introducing extraordinary residential condominium and rental properties in Boston, Chicago, San Francisco, Los Angeles and New York City and is also one of the largest owners of affordable housing across the nation. Mr. Ross is the owner of the Miami Dolphins, a franchise that has become one of the most fan-friendly under his leadership. Mr. Ross is also Chairman and co-founder of RSE Ventures, a multi-national technology, sports and entertainment venture firm. RSE has invested in and incubated a number of diverse businesses, some in partnership with entrepreneur Gary Vaynerchuk. Investments include Resy, David Chang’s Momofuku, Next VR and PrimeSport. RSE also created and launched the International Champions Cup, a global pre-season soccer tournament. 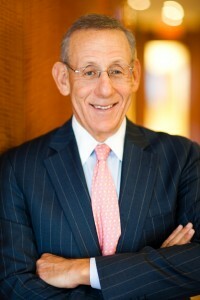 Mr. Ross is Chairman of the Board of Directors of Equinox Holdings, Inc., serves on the Executive Committee and is a trustee of Lincoln Center, and is a trustee of New York-Presbyterian Hospital. He is a director on the board of the Jackie Robinson Foundation, the New York Stem Cell Foundation, and The Shed and is chairperson emeritus of the Real Estate Board of New York (REBNY), the city’s leading real estate trade association. Mr. Ross is also a director on the board of the World Resources Institute (WRI) and established both the WRI Ross Center for Sustainable Cities — a new, innovative initiative to integrate urban planning, sustainable transport, energy and climate change, water resources, and governance — and the Ross Initiative in Sports for Equality (RISE) to harness the unifying power of sports to improve race relations and drive social progress. In 2013, Mr. Ross pledged to give more than half of his estate to philanthropic causes and charitable organizations through the Giving Pledge, a long-term global initiative created by Warren Buffett and Bill and Melinda Gates that aims to inspire deeper engagement in philanthropy and increase charitable giving globally.